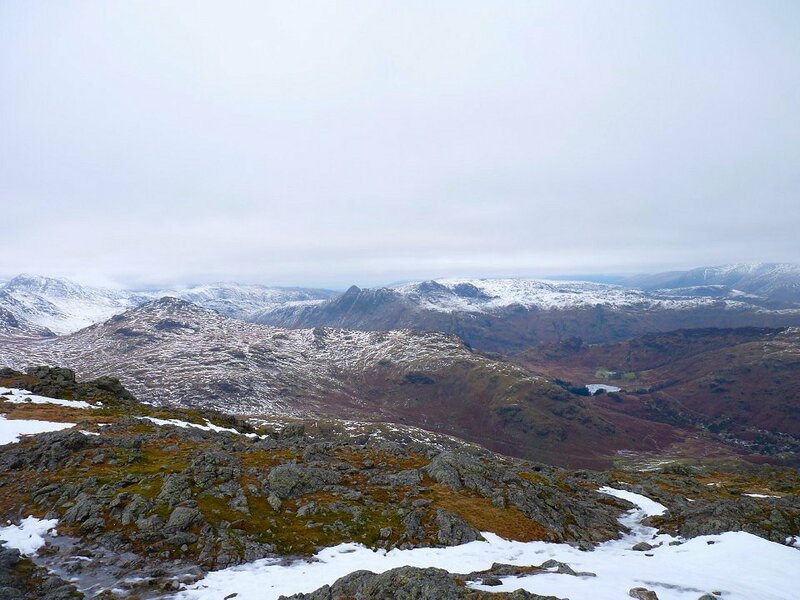 The fog that has been hanging around since Christmas finally cleared and with the weather sites predicting calm conditions I headed up to Coniston to walk the tops around the village. 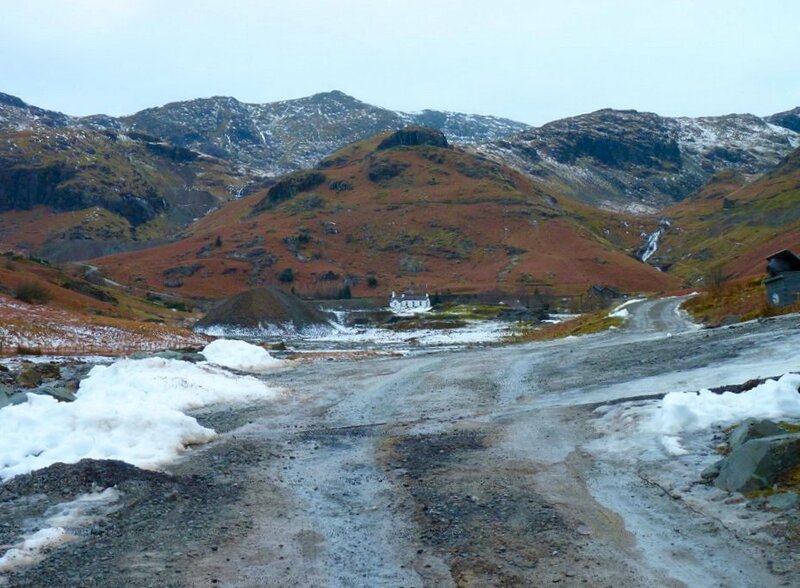 I parked at the bottom of Coppermines road and set of up the hill following Church Beck. 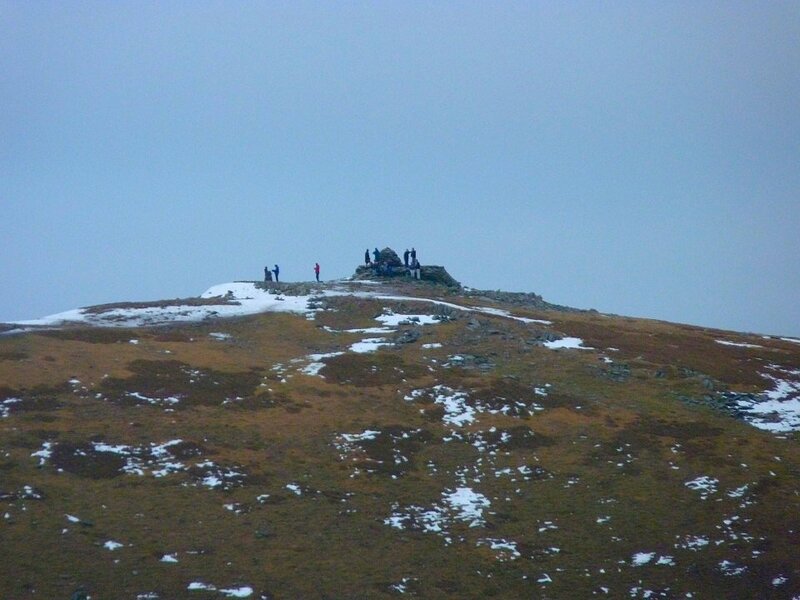 It was a lot milder today than it has been but the thaw is not yet complete. 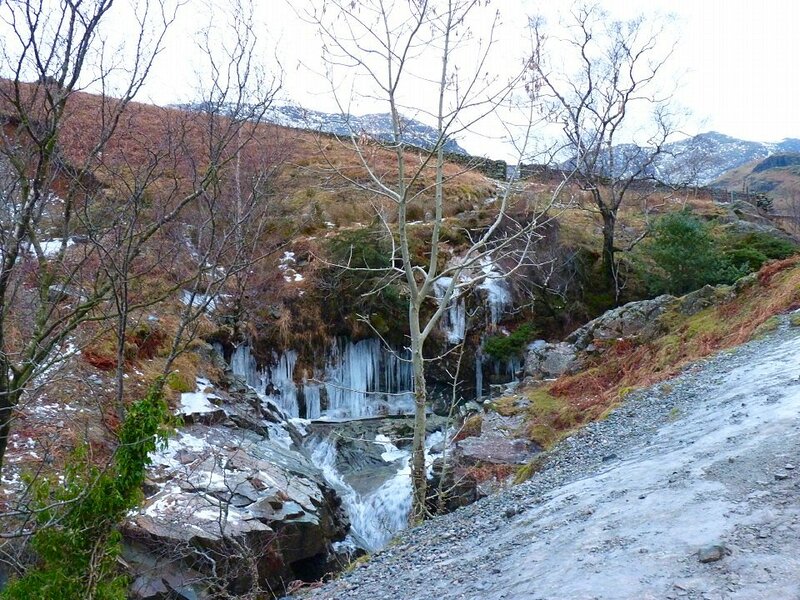 Looking up to the youth hostel just before I turned right and started the long climb to Wetherlam. 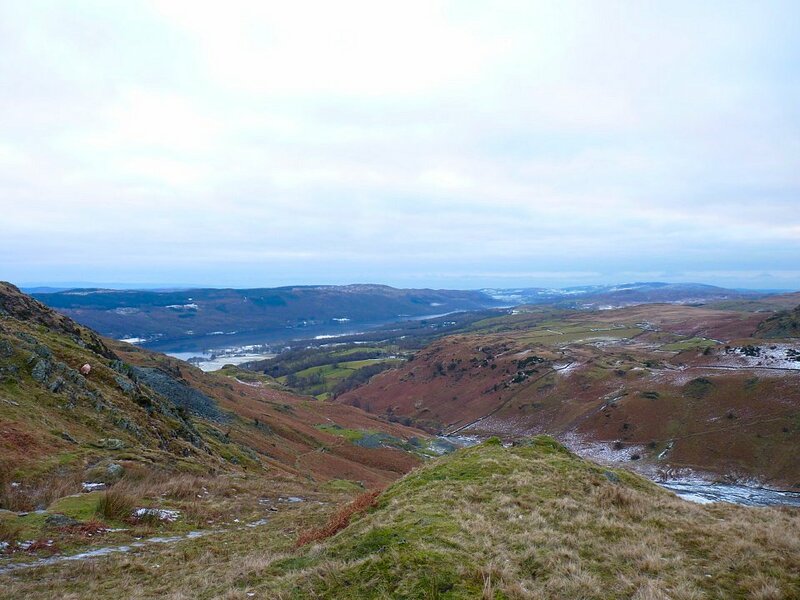 Looking back down the path with Coniston Water in the background. 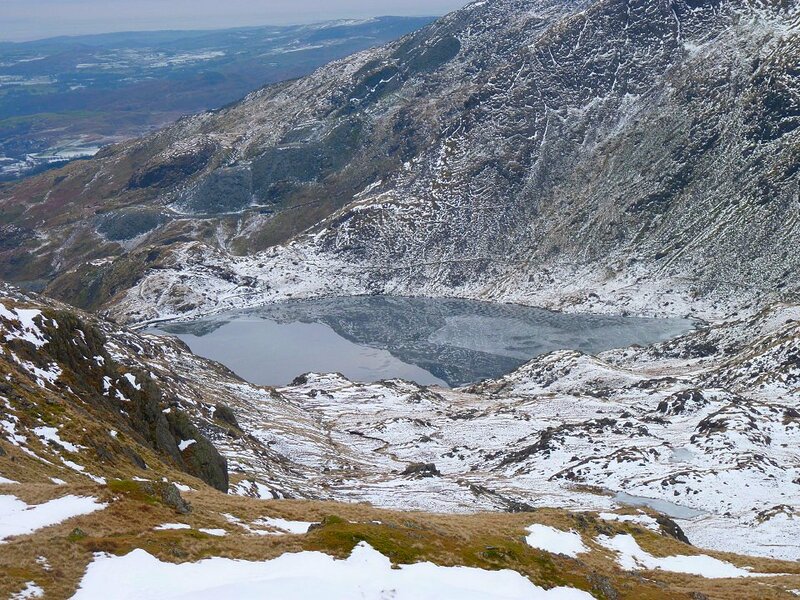 Zooming in on a black and white Coniston Old Man. 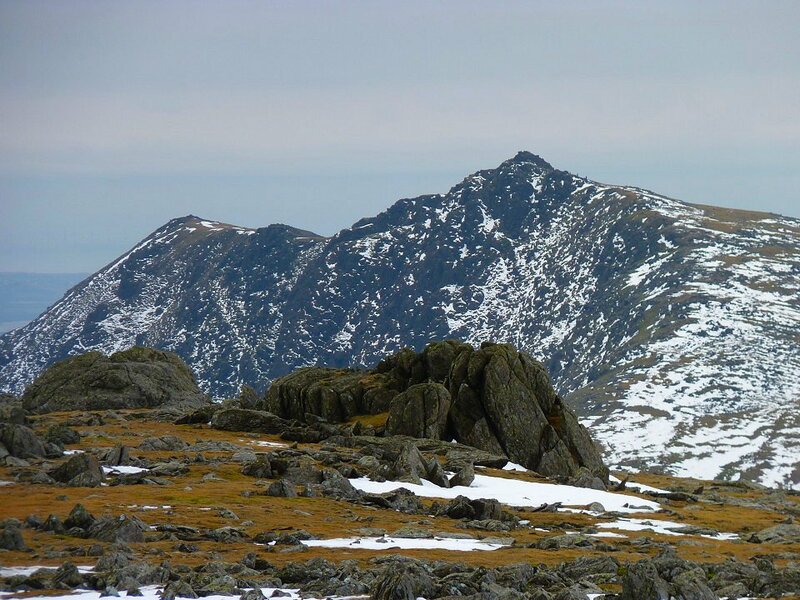 On Wetherlam now looking over Pike O Blisco to the Langdale Pikes. 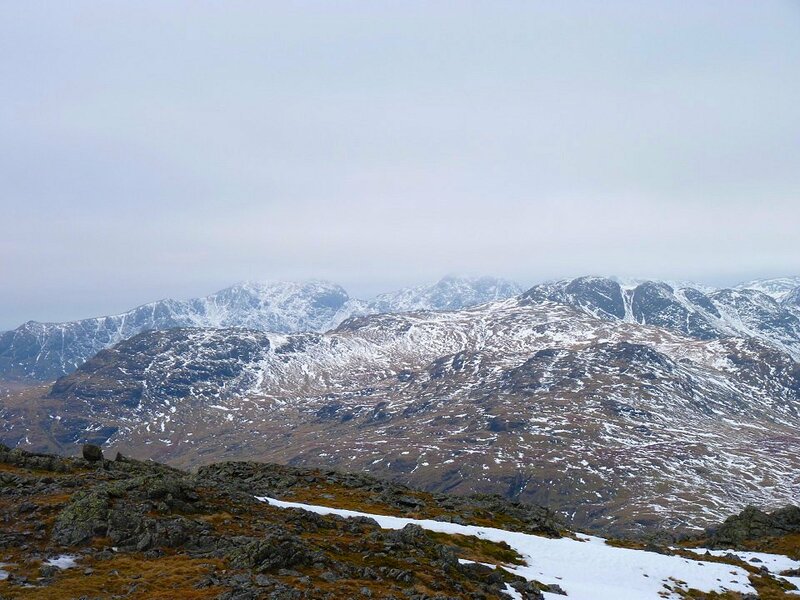 Looking over Little Stand and the Crinkles the tops of the Scafells are just in cloud. 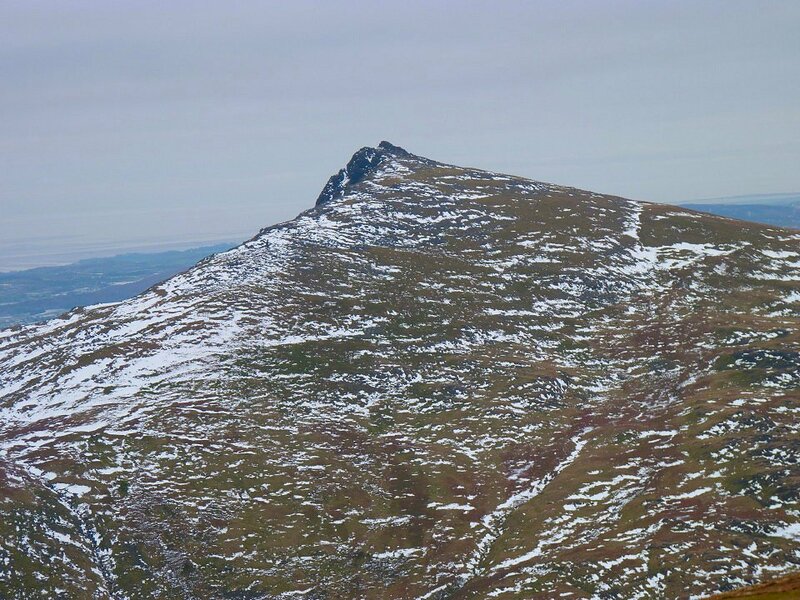 The walking conditions today were brilliant with no wind and not to cold. 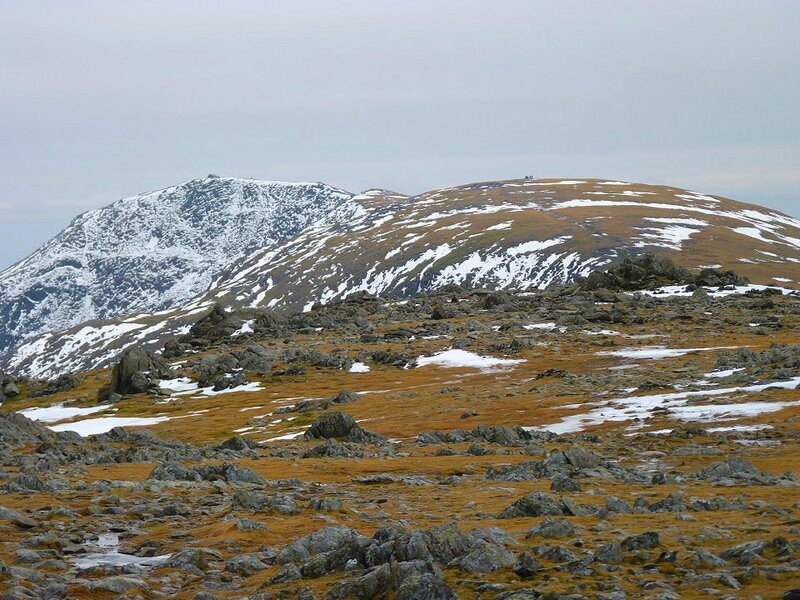 The conditions for photo's though were not the best, the flat light seemed to bleach the colour from the fells and made everything seem a bit stark. 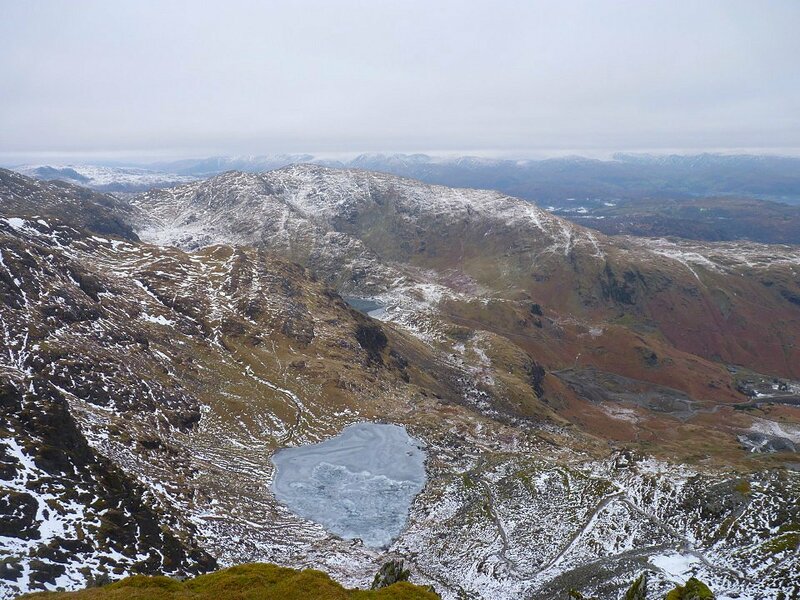 Blea Tarn and Side Pike from Wetherlam. Levers water from the walk down to Swirl Hawse. 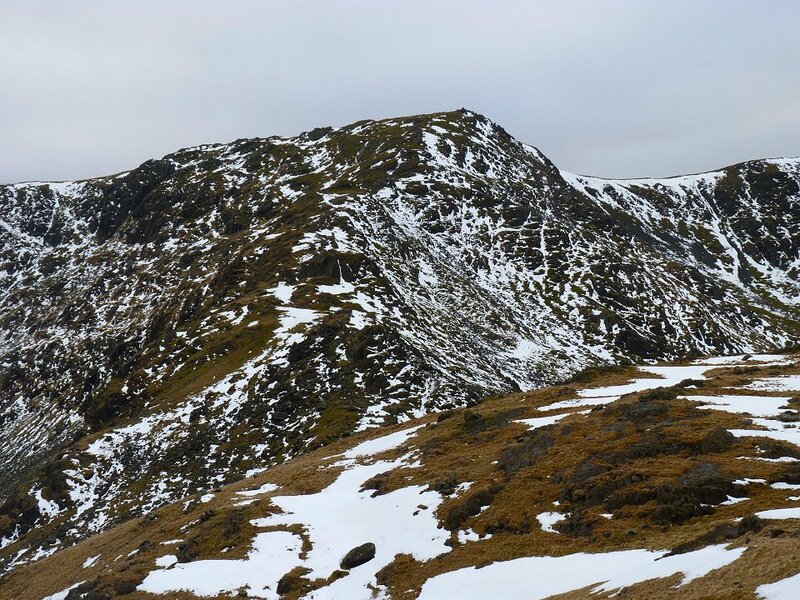 I was slipping and sliding a bit on the climb up to Wetherlam I thought I'd better put on my Micro Spikes for the traverse of Prison Band and I was glad I did as there was still quite a bit of ice around. Swirl How at the top of Prison Band. 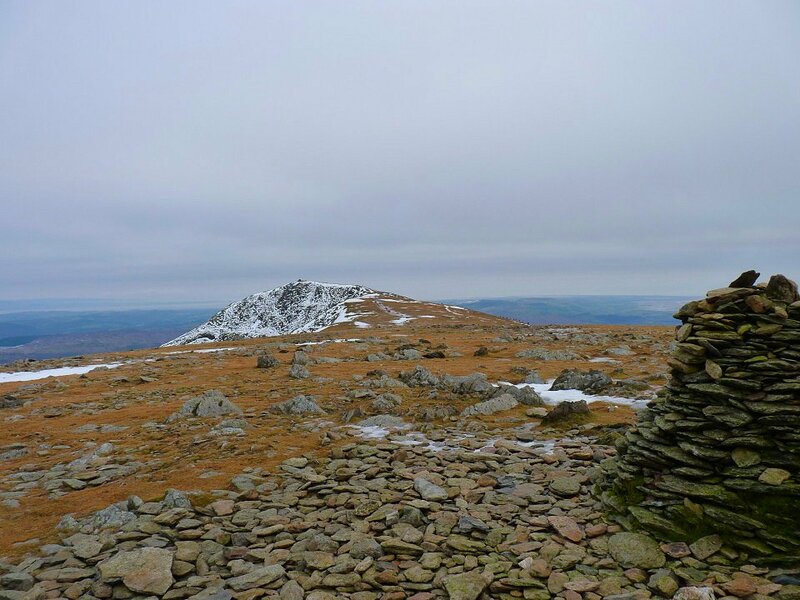 Brim Fell and the Old Man from Swirl How. 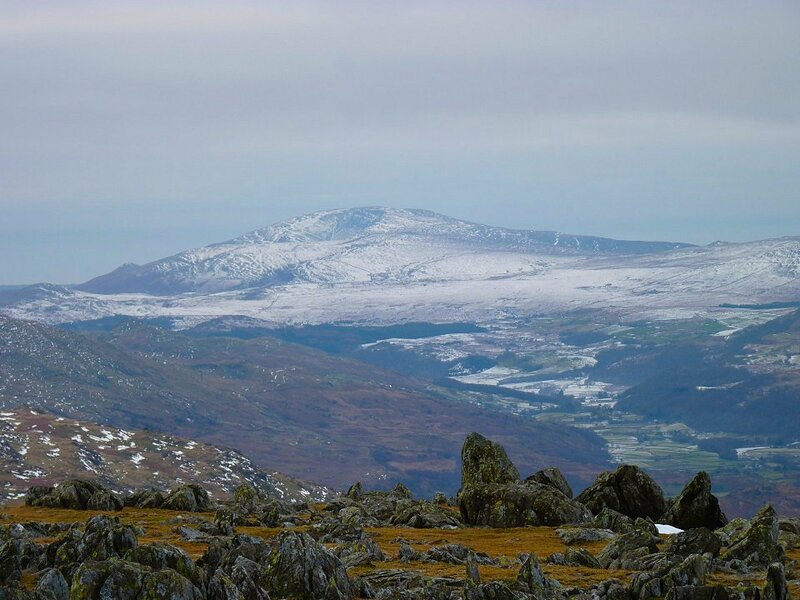 Black Combe in the distance. 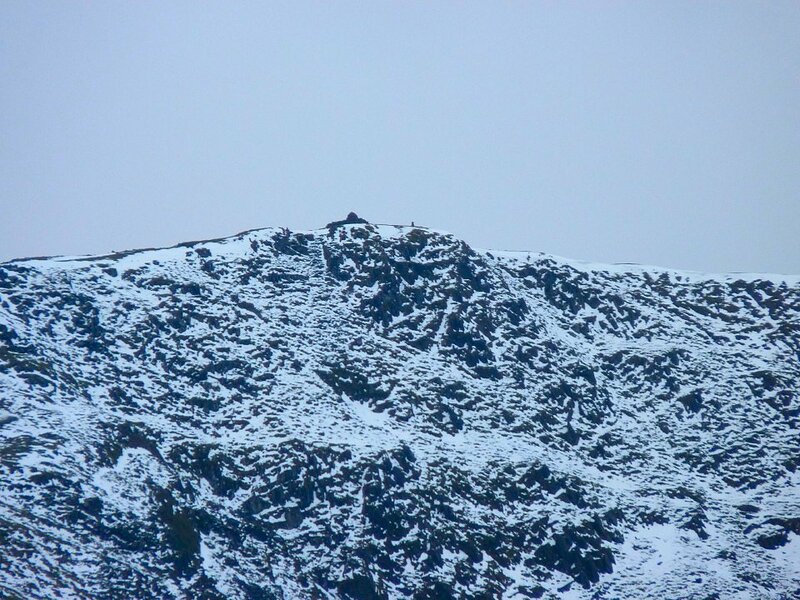 Zooming in on my last fell of the day, Dow Crag but a few ups and downs to go before I get there. 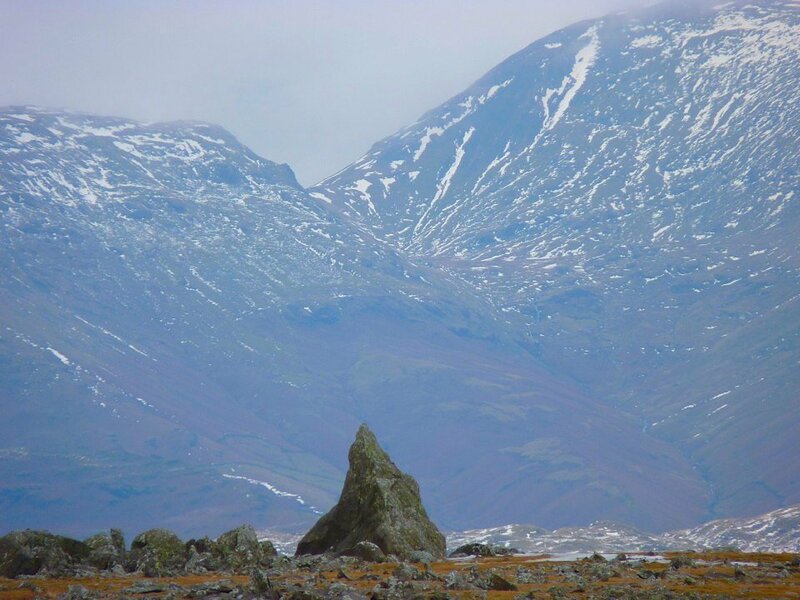 The Matterhorn rock on Grey Friar. I think that's Seat Sandal and Fairfield behind about 9 miles away. 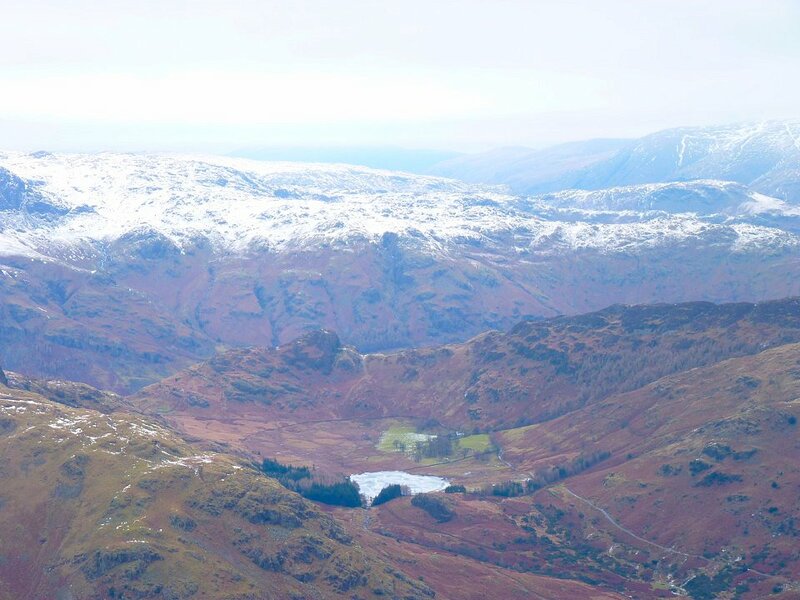 Seathwaite Tarn from the path round to Levers Hawse. Low Water and a bit of Levers Water from The Old Man. 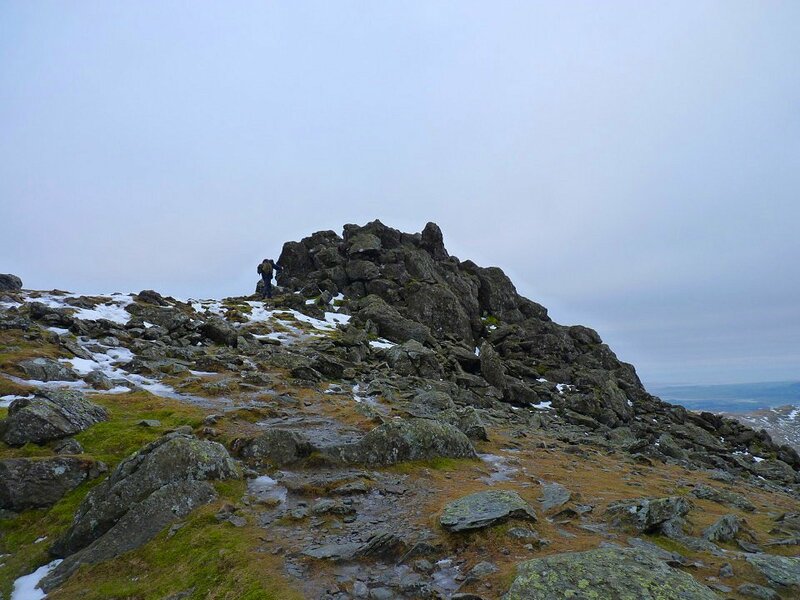 After a tricky descent down to Goats Hawse on which I was glad of my Micro Spikes I climbed up to the rocky top of Dow Crag. 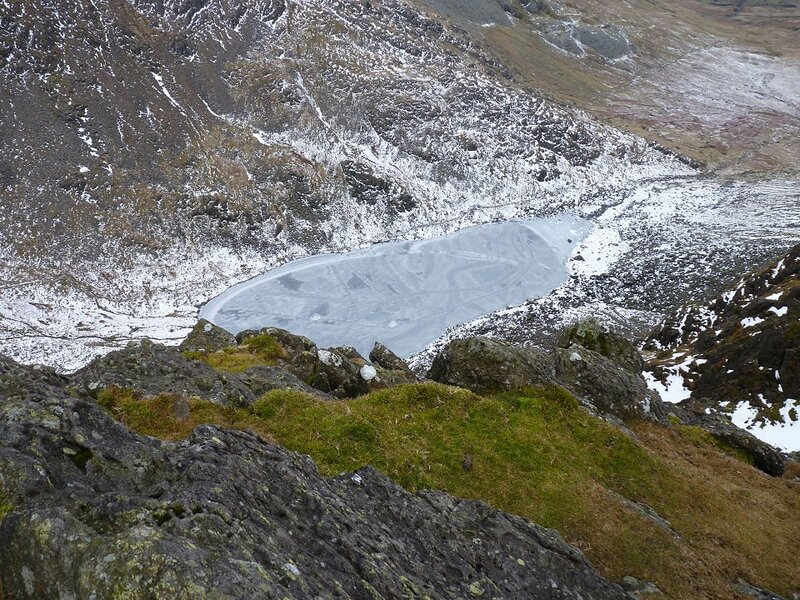 Looking down to Goats Water from Dow Crag. Still a few people on the Old Man. 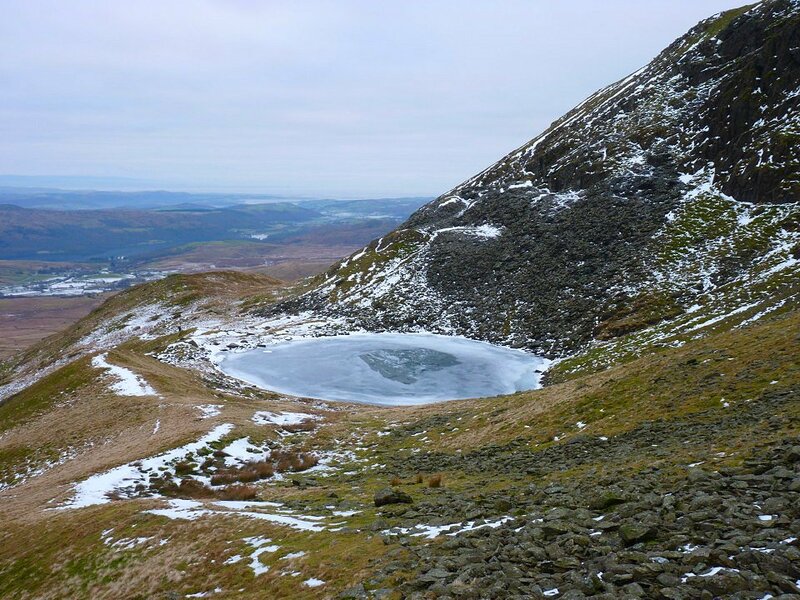 I have never been to Blind Tarn so I dropped of the ridge and went down the steep slope. 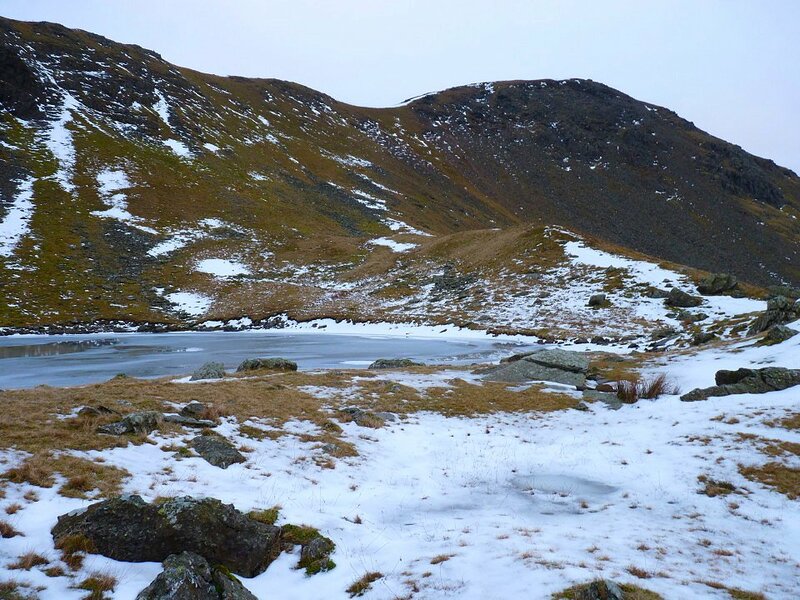 Blind Tarn and the ridge above. 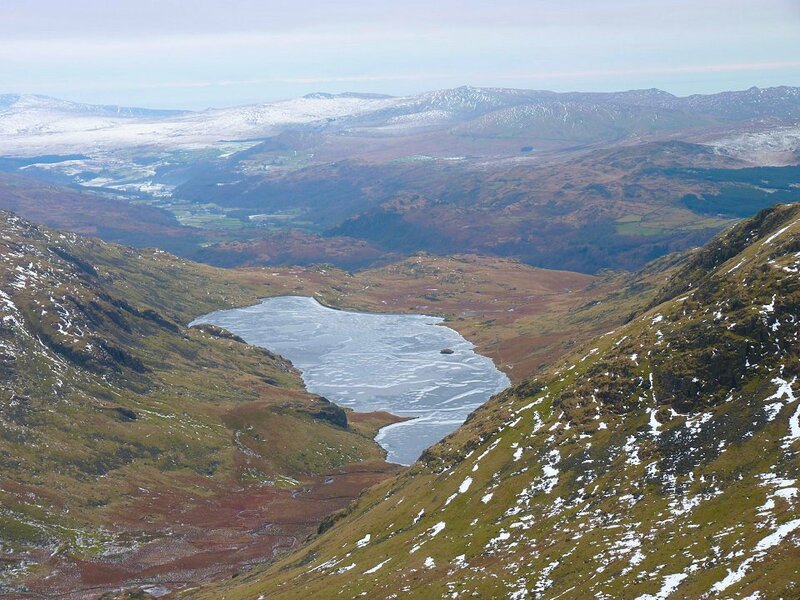 All that remained now was the walk back down the Walna Scar road to Coniston.